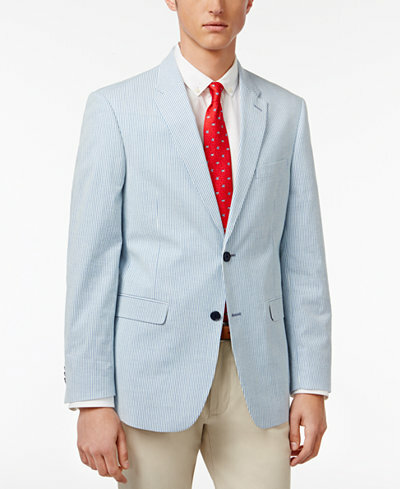 Macys offers this Men’s Slim-Fit Blue and White Seersucker Sport Coat for just $30. Original price was $295. Add a couple items to get free shipping at $49. Classic seersucker and a contemporary slim fit join together with comfort stretch fabric, making this Tommy Hilfiger sport coat a win-win-win.